This year’s NFL season has been anything but predictable. However, when it comes to Super Bowl 50 there will likely be only one result that would be truly surprising and that is a win for the Denver Broncos. That’s not to take anything away from Gary Kubiak’s team, but there are a lot of things that would need to happen for the reigning AFC Champions to topple the powerhouse that has become the Carolina Panthers. For Denver to have any shot at winning this game Von Miller, DeMarcus Ware, Chris Harris, and that juggernaut of a defense need to play even better than they did against the Patriots. Cam Newton is unlike any quarterback they’ve gone against this year and his ability to make plays in and out of the pocket makes him the most dangerous player on the field. The Broncos won’t simply be able to rush four like they did for most of the AFC Championship Game. Expect to see an extra body or two in the box, or at the very least a spy on Newton in the Super Bowl. The pass rush needs to minimize the big play opportunities from Carolina’s #1 to Greg Olsen. After that, Denver’s stout secondary should be able to better handle a group of Carolina receivers that have, in all honesty, overachieved this year, keeping the Panthers from exploding all over the scoreboard. On the other side, the Broncos would also have to take advantage of the right wide receiver matchups. Emmanuel Sanders needs to be moved all over the place as his pace and catching ability makes him tough to cover – even for Panthers’ Pro Bowl Corner Josh Norman. While it may not always be obvious, Norman usually wins his battles at the line of scrimmage or on short-to-intermediate routes. However, against the Giants’ Odell Beckham Jr., Norman was burned more than once on deep routes with one instance resulting in what would have been a 50+ yard TD (if ODJ hadn’t dropped the ball). I can see Sanders having similar success, especially since Denver have far more receiving threats that would need to also be covered (limiting Norman’s help). There is also a mental fragility which has started to seep into the Panthers’ game lately. 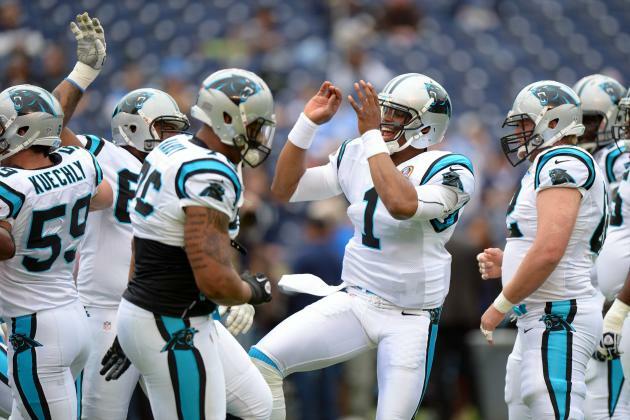 The Giants and Seahawks have recently comeback from multi-score deficits against the Panthers. Though neither won, it did show that Carolina has the ability to switch off. An even better example of this came during the Panthers’ only loss of the season, a week 16 match against the embarrassingly poor Atlanta Falcons – a team they blew out and shutout two weeks earlier. So while there is some hope for Denver to walk away victorious on February 7th, I still don’t see it happening for one reason and one reason only: Denver’s quarterback play. Peyton Manning, who will likely get the start on Sunday, hasn’t ever played a dominant game in a Super Bowl. Even in Indianapolis’ win against the Bears in Super Bowl XLI, it was the Colts’ defense (which collected five turnovers) and running game that earn the “W”. 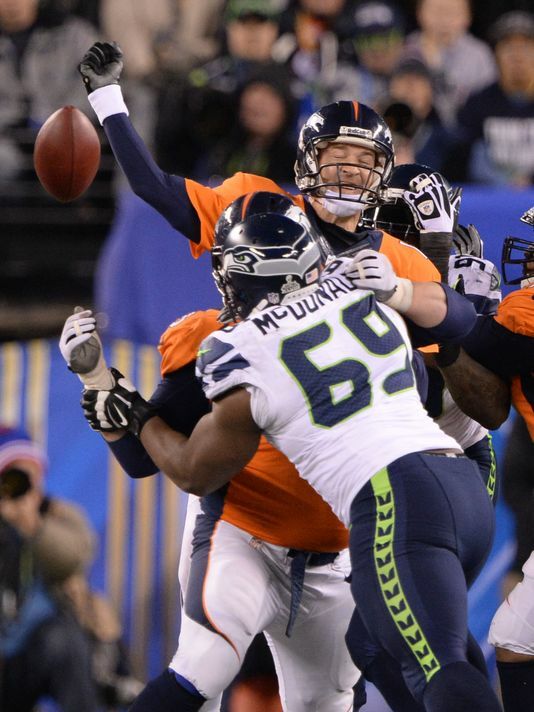 Manning, while solid, earned a sub 90 quarterback rating. Though an obvious Hall of Famer and storied field general, Manning has never had the physical ability to match his unrivaled Football IQ. And unlike that Rex Grossman-led Bears team of Super Bowl XLI, the Panthers have the ability to actually score points. So much like the Saints and Seahawks teams did in Manning’s two previous Super Bowl appearances, I see Carolina coming out on top. I think the athleticism of the Panthers’ standout linebackers and defensive ends will be way too much for him to overcome, yet again. Also, with no real ability to operate outside of the pocket, Manning will most likely be a sitting duck. So why not Brock Osweiler, who at the very least is able to run Kubiak’s offense to the letter? The answer is because this is going to be Manning’s last game as a Bronco and most likely the last game of his career. Plus, Brock is a bit green and shouldn’t be asked to come in for a game like this (in a starting capacity). With all that said, I believe this game will be one full of big defensive stops. The Panthers have been electrifying, but unlike the Steelers who gave Wade Phillips’ defensive unit a real beating, they really don’t have game changing wide receivers. The score is going to stay close, but I see the Panthers winning by 10 points in the end. Kuechly or Newton will walk out as the MVP and Peyton will finally put his Hall of Fame career to an unfortunately ungraceful end. Super Bowl 50 airs Sunday, Feb. 7, on CBS. Kickoff starts at 6:30 p.m. ET, check your local listings. Will you be watching? Let us know your predictions in the comments below. How in the hell do you know who’s going to win? Then since you know why do they even have to play? Just go ahead and give it to the Panthers since you are so sure. Denver has never gotten any respect! Talking about how perfect a quarterback Newton is when he has only played loser teams and most of them twice. They said the same thing when Denver played Green Bay. They gave Greenbay 14 points over Denver. Denver whipped them down. Denver has consistently had a number one defense, but they don’t get the credit. You are just a Denver hater. I hope Denver beats Carolina like they did Greenbay and the Patriots. LaRandi, you are right about Denvers’ defense, they have been the best unit on display this season. I think that they will do more than keep the Panthers offense off balance. But I encourage you to reread this article. I wasn’t simply hating on the Broncos. I was just giving my opinion on how I think they can win but why I still see them losing. To me, this game is similar to the games they lost against the Colts and Chiefs this year. Against the Colts, Denver couldn’t contain Andrew Luck – a QB with a similar style as Cam. Against the Chiefs – who have a similarly formidable defense as the Broncos – it was Denvers lack of offense that let them down. I don’t believe you’ve given the Panthers credit, they did demolish the Seahawks, and Cardinals – two of the best teams this year in the entire NFL – to get to the Super Bowl. The Broncos defense was excellent against the Pats, but that offense wasn’t (not against the Steelers either) and has to play much better to have any chance against the Panthers – in my opinion. My team (Atlanta) isn’t in it so I’m truly just hoping for a good game. Thanks for the opinion and who knows, maybe Peyton will get one last ring.